At Verbic Orthodontics, our 5 core values are more than just words, they are our way of life. We know that organizations with a strong culture, and a higher purpose beyond making money perform better in the long run. As we continue to grow, we will ensure our culture remains intact. 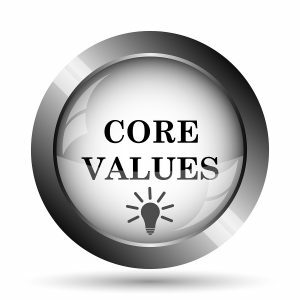 Do our core values speak to you? At Verbic Orthodontics our team is our family. We aim to foster an environment that produces positivity because we have an influence on each other and our patients and we have the power to give hope to others. To serve others in a way that they will remember you, you must do something that is beyond the expected. We are not an average practice, our service is not average, and we don’t want our people to be average. We believe in hard work and determination. We take pride in the work we do because we know the success of each member of our team and the practice as a whole depends on it. We carry ourselves with a quiet, humble confidence because we endeavor to do the right thing at all times. We believe in the Golden Rule…treat others the same way that we want to be treated. We believe in constantly trying to learn and grow both personally and professionally. By pushing ourselves to unlock our full potential, we achieve a greater level of fulfillment.